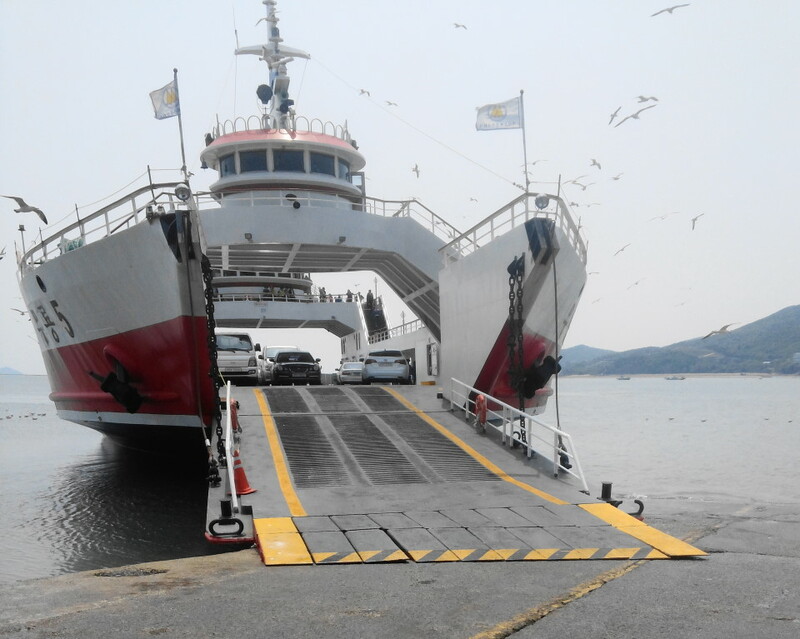 This weeks Photo Wednesday was taken going to Muuido Island (무의도) which is off the coast from the Incheon Airport Island. The photo is of the ferry which you need to take in order to reach the island. The ferry only takes about 5minutes to cross the gap between the islands. It’s a nice little trip although there are a lot of seagulls begging for food and sometimes flying into passengers. Last weeks Photo Wednesday “Inside of a Korean Wedding Hall” Please Click Here.